Mike Parmentier is our head football coach. Derek Jarman is our head boys soccer coach. Coach Jarman is in his 7th season working in the Bethalto School District, with all seven being a teacher at Meadowbrook. During those seven years, he has been coaching soccer for five. Coach Jarman has been an assistant with our girls soccer program for the past five seasons, he served as boys assistant for two years, and is now entering his third season as the CM boys soccer head coach. Among the accomplishments of our boys soccer program under Coach Jarman was the 2016 Metro Cup Tournament Championship. He also currently ranks 2nd all time in career wins as CM boys coach. Coach Jarman stresses team success, but not just on the field of play. One of the things he is most proud of is that his 2016 team grade point average (GPA) was a combined 3.4. He is a product of Roxana High School and Western Illinois University where he earned his bachelor's degree. Derek then attended Greenville College where he earned his Master's in Education. During his time at Roxana High School, Derek played baseball, basketball, and soccer. He earned all South Central Conference recognition as a senior in baseball while earning All-Conference recognition all four years in soccer, including 2nd Team All-MVC as a freshmen, and 1st Team All-MVC as a sophomore. Coach Jarman is married to his wife of over 10 years, Susan. They have two children, Hudson and Scarlett. He and his family enjoy traveling and attending sporting events, including visiting new baseball stadiums as often as possible. Jay Waters serves the Eagles head boys golf coach. Our girls golf head coach is Jane Middleton. Coach Middleton has been coaching girls golf for the past eight years. She has two beautiful daughters and two granddaughters. Coach Middleton attended Bethalto Schools, taught and retired from the school district, and now coaches at Civic Memorial. Coach Middleton is proud to call Bethalto home! When Coach Middleton took over the reins of the girls golf program, she had four girls on the team, but the program has grown each year since. 2017 will bring 13 girls golfers to the team! Coach Middleton's team won the first girls golf regional championship in school history in 2014 and she has coached three girls to the state final tournament, including one All-State athlete who placed 10th in Class A. Three of Coach Middleton's golfers have earned college scholarships to play golf, one each to McKendree, Quincy College, and Montreat in North Carolina. Coach Middleton and the team fundraised this past year in order to take a team trip to Destin, Florida in 2017. The team golfed, went to the beach, and created great memories as a team! In her spare time, Coach Middleton likes to hang out with her family, play golf, and work out. She loves to sew and vacations each winter in Florida where she plays golf, watches the Cardinals at Spring Training, and enjoys the warm weather. 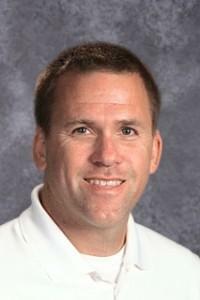 Matt Carmody is our head girls tennis coach. Matt Carmody has been at Trimpe Middle School for 8 years teaching math and science. He has coached both boys and girls tennis during that time. Matt played 4 years of varsity tennis at Marquette in Alton before accepting a scholarship to play college tennis for 2 years at Lewis and Clark Community College. Then he transferred to Southern Illinois University at Edwardsville to get his degree in education. Later he completed his Master's degree from Rockford University. He now resides in Saint Louis with his lovely wife Hailey and their overly affectionate 100 pound Saint Bernard named Daphne. Our country coach is Jake Peal. Coach Peal has been coaching Cross Country for three seasons, all at Civic Memorial. In his first season as coach he served as a volunteer assistant for Clint Walters. This is Coach’s Peal’s second year as Head Cross Country coach and he also serves as an assistant track coach, focusing on the middle and long distance runners and high jumpers. In his first two seasons at CM, the Boys Cross Country team has won back to back Madison County Small School Championships. In 2016, the CM Boys team qualified for the IHSA 2A Decatur Sectional for the first time in school history. He has coached four Madison County Individual Champions in both Cross Country and Track and Coach Peal has coached three All-Conference MVC athletes. Coach Peal is a CMHS 2011 graduate where he competed in Cross Country and Track. He graduated from Lindenwood University-Belleville in 2015 where he also competed in Cross Country and Track. As an athlete for the Lynx, Coach Peal was on two USCAA National qualifying teams and in 2012 his team finished 3rd in the country. He was also a 4 time NAIA Academic-All American and a USCAA Academic All-American. Coach Peal is very proud for serving as the team captain of the first track team in LU-B history to win the American Midwest Conference Championship. In his free time Coach Peal loves to watch other sports, and train for road races ranging from distances up to half and full marathons. Our head cheerleading coach is Tess Henke. Tess Henke has begun her second year as CM Varsity Cheer Coach. Henke is a graduate of Edwardsville High School. She has a bachelors in Health Science from the University of Missouri – Columbia and a Bachelors of Science in Nursing from Southern Illinois University - Edwardsville. She is also a licensed Real Estate Broker with Coldwell Banker Brown Realtors. Henke has been involved with cheerleading for over 16 years. She has coached for 5 years, choreographer for 11 years and worked with Civic Memorial Cheerleading as a choreographer for 5 years and as a coach for 2 years. Henke is excited to continue the Bethalto tradition of excellence. The coaching staff and cheerleaders are dedicated to all the sporting teams, the school, the community, and to making their mark in the sport of cheerleading, via positive actions, community involvement, and leading by example. Coach China Rongey will serve as the assistant coach to Civic Memorial Varsity Cheerleading. Coach Jonathan Denney enters his 13th season at the helm of the Lady Eagles with a 257-112 record over the past 12 seasons. His teams have been the most successful basketball teams in school history. He was the first girls basketball coach to win an MVC title in 2012, first regional championship 2013, first sectional championship (for boys or girls) in 2014, and making their first ever super sectional appearance. Coach Denney has also led his teams to the most single season wins in school history, for boys or girls, with 31 wins in 2013-2014 and 2016-2017. Over the past two seasons, his teams have been ranked in the top five in the state and also reached a number one ranking in the state. Coach Denney’s teams have 5 regional titles, 2 sectional titles and 5 conference championships. Coach Denney is a 6 time IBCA District 19 Coach of the Year and has been named Alton Telegraph Coach of the Year, Belleville News Democrat Area Coach of the Year, and the Advantage News Area Coach of the Year numerous times. Coach Denney is also the all-time leader in wins in Civic Memorial basketball History. Coach Jonathan Denney is a 1991 graduate of Civic Memorial High School and attended Southwestern Illinois College where he continued to play basketball. He then moved on to finish his basketball career at Webster University where he graduated with a degree in business. Prior to leading the CM girls basketball program, Coach Denney was an assistant boys coach at CM for 6 years and Livingston High School for 3 years. He is married to his wife Karrie and they have three children, daughter Kaitlyn (23), and twin boys Kameron (19) and Kaleb. (19)Our head girls basketball coach is Jonathan Denney. Our Wrestling head coach is Jeremy Christeson. Coach Christeson is making his return back to Civic Memorial to lead our exciting wrestling program. Coach Christeson served as an Assist under Coach Steve Bradley and Coach Chad Young at CMHS from 2000-2009. After serving as an Assist. At Belleville West from 2010-2016 season, Jeremy is returning to Civic Memorial with a stellar coaching staff as well as an exciting young group of wrestlers. During Coach Christeson’s 17 years coaching high school wrestling, Jeremy has been apart of 2 State Champs, 22 State Placers, 2 National Champs, 18 National Placers, and 10 All Americans at the AA (CM) and AAA (BW) level. Coach Christeson graduated from Civic Memorial in 1995 and was a 3-sport athlete that played: Football, Baseball, and Wrestling. Jeremy went on to Wrestle and play Football at Lindenwood University in St. Charles, Mo. from 1995 to 1999. Coach Christeson is also the Head Coach of the Bulls Wrestling Club based in Bethalto, Illinois. The Bulls Wrestling Club is known as one of the best wrestling clubs not only in the state of Illinois but in the country. They continue to grow in size and continue to rack up awards from all over the country. Coach Christeson is also a Volunteer Assistant Coach for our CMHS Football team under Coach Mike Parmentier. In Coach Christeson’s spare time he enjoys watching his daughters play their respectable sports as well as spending time with family and friends. Jeremy is married to Jill (Williams) Christeson and has 3 beautiful children: Jenna (15), Claire (13), and Atilla (5). The Christeson’s reside in Bethalto and wouldn’t have it any other way. Trent Morgan is the head boys and girls bowling coach. Clint Walters serves as the head track and field coach for boys and girls. My name is Ty Laux, I'm a graduate of CMHS. I received my bachelors degree from SIUE, and my Masters from Rockford University. I'm currently the P.E., Health, and Drivers Education Department Head. This is my 19th year teaching at CM. I spent 1 year teaching at Winchester High School. 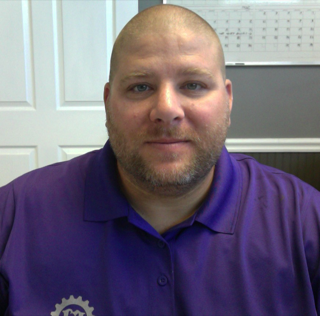 I currently teach in both the Drivers Education and Physical Education departments. I have 3 children, Quincy 11, Isiah 10, and Penn 6.